What would Shel Silverstein think? | Do the twisted. What would Shel Silverstein think? Growing up, my brother and I spent much of our time playing outside. Whether it was building forts in the woods or climbing trees. Trees were always an escape for us, especially from the cars we threw water balloons and acorns at for thrills. Those were my best and most favorite childhood memories, along with reading The Giving Tree, instilling in me a deep love and respect for trees. Unless you’re like Dustin and live in a bubble, you’ve read The Giving Tree by Shel Silverstein too. 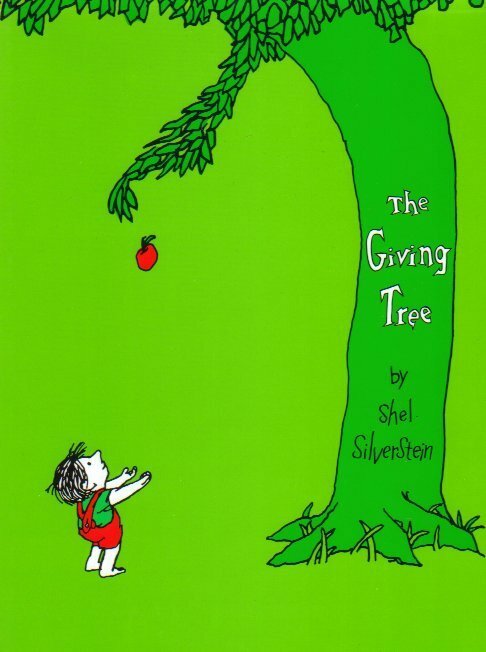 The Giving Tree was published in 1964, a time when sitting underneath the shade of a tree was welcomed entertainment for all. You didn’t need anything else. Well maybe some acid and someone to go steady with so you could make out and dance around a tree. But things are different these days aren’t they? Kids don’t play outside anymore; they have Wii, internet, and text. People trade in real nature for sounds of nature. Most importantly, deforestation continues to be a growing issue as 90 acres of rainforest are carelessly destroyed every minute. Maybe Shel was warning us of the future. At one point he writes, “I am sorry”, sighed the tree. “I wish that I could give you something, but I have nothing left.” We are poisoned with an insatiable desire to push the limits of our existence and see what we can develop and achieve. So what happens when trees really don’t have anything left to give? Look what has been cleared away in the last 300 years. Hell, in the last 20 years, I’ve seen areas once lush with trees, now neighborhoods and shopping centers. So who’s to say what’s going to be left in the next 100 years? Nothing is guaranteed. Anything can change. So I can’t help but wonder, what would Shel Silverstein think? Shel would think that KELSEY LOVES JORDAN. And that trees are awesome and I would like to live in one. Dustin and I must have grown up in the same bubble-hood ’cause I haven’t heard of it either. At least that I can remember. But then again, I am getting up there in age and the memory isn’t what it once was…so…I like trees too. Go Trees Go! Jordan and trees sitting in a tree K..I..S..S…doesn’t work does it? A tree sitting in a tree.